April 15—Tax Day marks the deadline this year for all American income earners to file their income tax returns with or without payments. The date is also the tax-filing deadline for self-employed individuals and freelancers. Tax Day is not a public holiday, but businesses and schools may be closed in some states this year because it falls on the same date as Patriot’s Day, which is a public holiday in Maine and Massachusetts. Although income earners are expected to file their tax returns on or before April 15, there are certain categories of people who are excused from doing so. For instance, those who earn less than $12,000 a year are excused from paying taxes. This is also the case for individuals with disabilities, veterans, and pensioners unless they’re applying for some kind of subsidy. This year, the filing for taxes may be a little different from previous years because of the new tax law. However, the basic steps will still be followed. What are the 4 Must-Have Tips on How to File Taxes the Right Way? Most people dread the days leading up to tax season because of the paperwork they have to do. However, it doesn’t have to be that way. All you need to do is prepare yourself for the steps in filing your income tax return and you’ll be on your way to becoming a responsible citizen. Tax Day fell on April 17 last year because April 15 was a Sunday and April 16 was considered a holiday. This year, it’s back to April 15. Make sure to keep the receipts since the IRS might ask for them. Income tax returns may be filed on paper or electronically. You need to fill out a form called 1040, You can download and print this form, which can be found on the Internal Revenue Service (IRS) website. After filling it out, you can send the return to the IRS by mail along with a check if you owe a payment. Another option is to fill out the form online and submit the return electronically with a credit card payment. This option is favored by the IRS since this is more efficient and reduces the risk of mistakes being made or documents being lost in the mail. Taxpayers also get their refunds more quickly if they file their returns online. Make a charitable contribution to reduce your tax bill. Tax deductions can reduce the amount of your tax bill. For example, if you gave $1,000 to qualified charities and non-profits in 2018, you can deduct that amount from your taxable income when you file your return in spring 2019. Tax filers have the option to itemize such deductions or simply avail themselves of the standard deduction, whichever is higher. If a tax filer opts for itemized deductions, one of the best ways to earn such deductions is through a charitable contribution to an IRS-determined 501(c)3 nonprofit organization. If you want to make a difference in the lives of the needy veterans in your community and enjoy a healthy tax write-off at the same time, consider donating an unwanted vehicle to Veteran Car Donations. We will auction off your donated vehicle and use the proceeds to support the programs of our IRS-certified nonprofit partners that have committed themselves to help our nation’s living heroes who are burdened with service-connected disabilities, physical and mental health issues, lack of jobs, and homelessness due to poverty. The proceeds from the sale of your donation will help our charity partners in providing their beneficiaries with mortgage-free and specially adapted homes, free mental health care, employment opportunities, job training, transitioning assistance, tutoring support and education scholarships, financial assistance, life skills training, counseling, and many other benefits. You’ll also have your own share of rewards, and one of them is your vehicle’s 100% tax-deductible sales receipt that we will issue you once your vehicle is sold at auction. This receipt will entitle you to claim a tax deduction based on the selling price of your vehicle as indicated in the receipt. If you donate this year, you can claim your tax deduction in the spring of 2020. 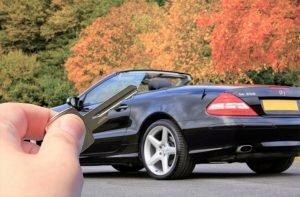 Do you want to get your hands off an unwanted vehicle? Let us know right away so we can help you experience a hassle-free removal of your vehicle at zero cost to you. For more information about how you can help the veterans in your community through car donations, check out our FAQs page. Feel free also to call us at 877-594-5822 or send us a message online if you have inquiries. If you want to reduce your tax bill and help the struggling veterans in your community at the same time, your best option is by teaming up with us at Veteran Car Donations. Call us at 877-594-5822 and transform the lives of our nation’s heroes with your car donation!